This message is to all true mixed blood red and black people who wish to honor their ancestors at native gatherings. 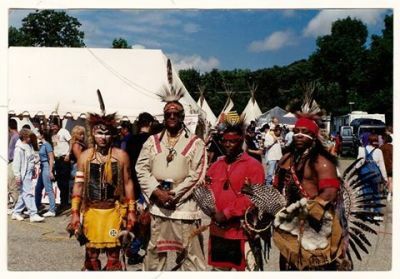 For the past 10 years I have watched many so called black natives and natives who have African American blood in their veins go to gatherings such as pow wows and native events programs and shows. Misrepresenting themselves thereby representing us. Here is what I mean. I've watch and many on face book do this as well. They use cheap painted feathers and hold native objects in their hands. They make bad regalia and do not take the time to learn what they are actually wearing. They do ceremonies and other things without actually knowing what they are doing. This is offensive to the very people that your wanting to honor. So I ask you to slow down, do your research and lean before doing. Especially regalia. It is very important that you take your time to learn how to dance, what to wear and how to use what you make. The predominant society has flooded the pow wows and gatherings and have made fools of themselves in many ways. They sing and drum and dance and use native heritage to their benefit mean while never giving back a dime of what their ancestors have stolen, and continue to steal. This for some reason doesn't seem to upset them to upset natives much because they have been brain washed to accept it. But when black native brothers do it, natives seem to have a problem with it [Being brainwashed] . So with that said I ask that black natives everywhere think before you act. 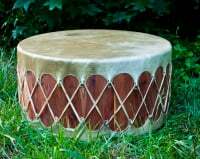 Don't call yourself a Chief if you have not been ordained a Chief and don't call yourself an Elder, Pipe Carrier, or Shaman if you have not be deemed so by ceremonial rights and those who can authentically conduct them. Don't give yourself a Native name if you have not rightfully been through a naming ceremony. And do not wear Cherokee Regalia but tell people you are Navajo. Learn what your representing and make sure that you have done your research. Many natives that are from the reservations have been brain washed in many ways. And its funny that they have taken on the black culture but don't like many black natives. This is a real conundrum because they themselves want to be black and have the acceptance of the culture but have a problem when a black brother or sister wants to honor his or her native roots. Thank God its not with every natives only a few brainwashed racist ones so don't be discouraged. There are racist in every group of people in this world we call mother earth. Only a hand full of those how have learned racism. Those people think that we don't want to be black or Afro American. Its funny if that was the case we wouldn't call ourselves Black Indians now would we? We would just say we are Natives if we were trying to deny our African heritage. This is another reason why we say Black Indians because we are honoring Both heritage. Not just one, but the African and Native side. So many talk about not using the word Black because its a derogatory word. But we don't use the word black alone. When it is combined it becomes a new word in our dictionary not the white-man's dictionary but our own. However the choice is set to each individual and if you call someone a name because he doesn't do what you say he needs to do then your just as foolish as those who kept your ancestors in captivity and your still there. 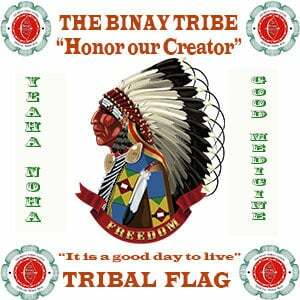 We are free chose to call ourselves Black Native American and hold the right to put the definition as we so chose to be called. And for those of you who do not understand what I am saying, this is the meaning of the word “BlackIndians”. The Word “BlackIndians” means the honoring of a dual blood line between an Red and Black Or Brown Skinned person of Native American and African American Ancestry also known as an Indigenous person. If you do not like this definition. That is fine but this is what it means. And we don't ask anyone permission to accept our interpretation. End.